There will be plenty of on-track action throughout the day, but be sure to get your tickets and arrive early, as the Toyota/Save Mart 350 Pre-Race Show powered by Friedman’s Home Improvement will get underway at 10:15 a.m. on Sunday, June 23. Taking place at on Saturday, June 22, inside the Save Mart/Lucky Breaking Zone, we are holding a kids-only autograph session with Monster Engery NASCAR Cup Series drivers TBD. 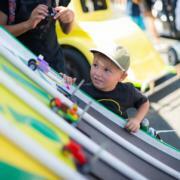 Your little NASCAR fan WILL need a wristband to access this event. Wristbands will be made available at the Save Mart/Lucky Breaking Zone Saturday morning. The Save Mart/Lucky Breaking Zone is your one-stop shop for rest, relaxation and interactive fun! This fan zone in the main paddock will be the hub of social media activity, including a place to charge your phone, hop in the photo booth and even experience a virtual reality ride around our track. Plus enjoy Q&As with drivers and live personalities, music, and much more all weekend long! The Save Mart/Lucky Breaking Zone is your one-stop shop for rest, relaxation and interactive fun! This fan zone in the main paddock will be the hub of social media activity, including a place to charge your phone, hop in the photo booth and even experience a virtual reality ride around our track. Plus enjoy Q&As with drivers and live personalities, music, and much more! TBD: NASCAR Pro Series West Full Field Autograph Session: Meet the stars of tomorrow in the Save Mart Breaking Zone for autographs. Time TBD: Kids-Only Autograph Session:Drivers TBD will be signing autographs and taking pictures with young race fans under the age of 12. (Wristband required, wristbands will be given out starting at (Time TBD) on Saturday at the Save Mart/Lucky Breaking Zone. Check back later for a full schedule. 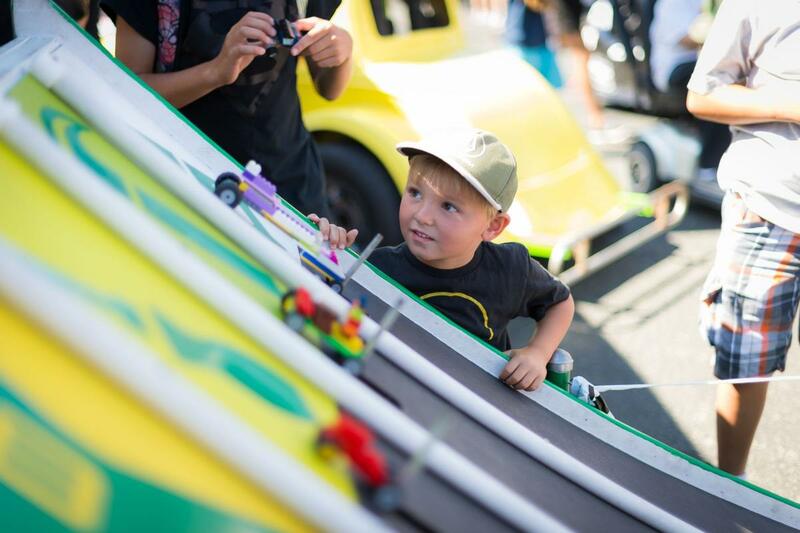 All weekend long, kids build their very own mini, gravity-powered race car and compete in races against other kids who are just excited about racing as they are! Sonoma Raceway encourages kids to take interest in the importance of science, technology, engineering and mathematics (STEM) as these are the key factors to a fast race car. 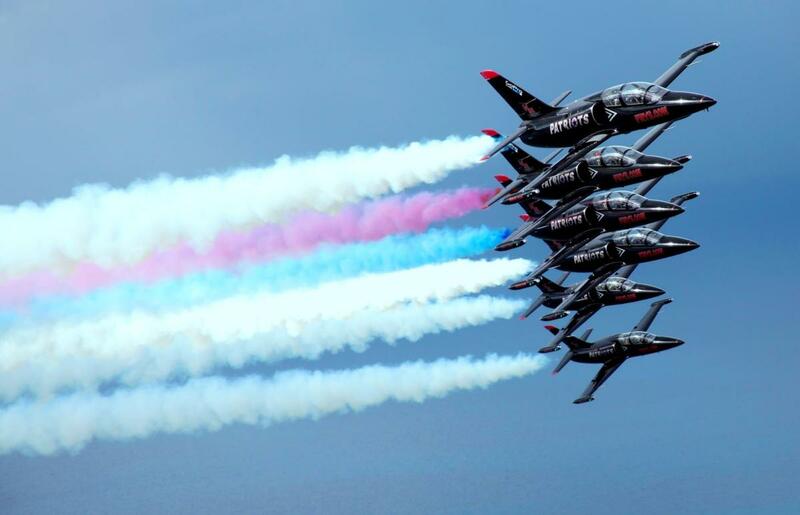 We can't wait to meet the future of racing — YOU! Enjoy shade, great food options and a new bar made of Real. Strong. Humboldt Redwood at Sonoma Raceway's signature party area, which is open to all race fans all weekend long! 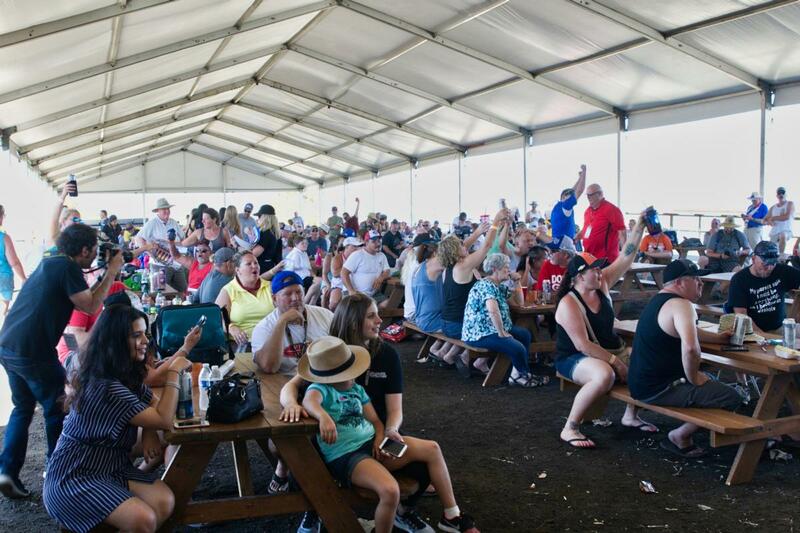 The RevZone at Turn 7 also features a 200-foot stand-up counter, expanded shade tent with nearly twice as many picnic tables as last year, food and beverage options, permanent restrooms, driver Q&As and more - all overlooking one of the most exciting corners of the road course. 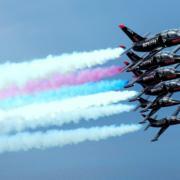 Be there as the NASCAR Hauler Parade speeds through downtown Sacramento rumbling the streets around the State Capitol. The Hauler Parade will make its way from the State Capitol to Sonoma Raceway for the big race. The action starts at noon on Thursday, June 20, in Sacramento and should arrive at Sonoma Raceway around 2 p.m. See you there! The post-race Track Walk returns with even bigger prizes! 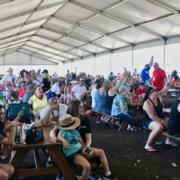 The fun doesn’t end when the checkered flag falls on the Toyota/Save Mart 350; that’s when you head down to the racing surface to hunt for specially-designed commemorative coins placed around the road course to be redeemed for prizes, including action cameras, big-screen TVs, 2019 race tickets and more. With nearly 100 prizes on the line, this is a race-themed treasure hunt for the whole family. 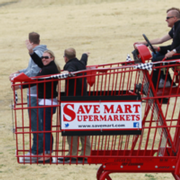 Before the green flag drops, Save Mart Supermarkets will take its giant 12-foot shopping cart for a lap around the road course. "Big Red" is a fan favorite and a true spectacle. Save Mart Supermarkets celebrates their 25th year supporting NASCAR in Northern California and "Big Red" has been a mainstay here at the track on race day. Feeling the heat? Take a break and cool off at one of our six Portacool Cooling Stations located in Turns 2, 4, 7, 9, 10 and under the Main Grandstand. Portacool evaporative coolers provide relief from the scorching temperatures through the natural process of evaporation. Plus, there is no messy mist involved! Take a seat at one DC Solar’s picnic tables outfitted with Power Stations that allow for fast and convenient charging of phones and other electronic devices. Located inside of Turn 10 fans will be able to interact with the latest Toyota vehicles, enjoy driver autograph sessions & more! Toyota’s interactive racing experience will be onsite all weekend and features the latest Toyota vehicles along with the Virtual Reality Pit Stop Challenge . Throughout the weekend, NASCAR drivers will make appearances to interact with fans and everyone who registers will receive a Toyota Racing prize!